Katy is the recipient of the Spring 2017 UH Cullen College of Engineering Best PhD Dissertation Award. Congrats Katy! Katy and Jihae both successfully defended their PhDs. 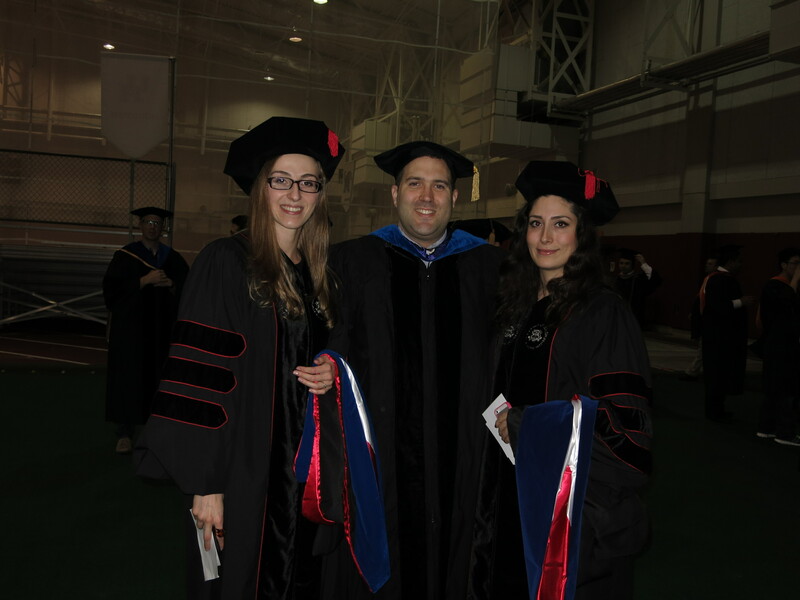 Congratulations to the two new doctors to graduate from the group. Congrats Katy and Jihae! Bryan’s invited review article was accepted for publication in Current Opinion in Nephrology and Hypertension. This article will appear in the special issue on Mineral Metabolism. Congrats Bryan! Wei was one of the recipients of the 2017 Kokes Award to attend the 25th North American Catalysis Society meeting in Denver, CO. Congratulations Wei! Ming-Feng and Yunwen’s paper on Ag-ZSM-5 dehydroaromatization of ethylene has been accepted for publication in ChemCatChem. This work is a collaboration with Prof. Lars Grabow and was an invited contribution to the special issue on Catalysis for New Energy Technology. Congrats to all! Manjesh’s paper was accepted for publication in Angewandte Chemie International Edition as a Very Important Paper (VIP) selection. The artwork for this paper was also selected for the front cover. This work is part of a collaboration with Prof. Michael Tsapatsis (U. Minnesota) and other institutions. Congrats Manjesh and other coauthors! Paper Accepted in J. Catal. Our collaborative work with Prof. Aditya Bhan’s group (U. Minnesota) on SSZ-13 catalysts in MTH reactions was accepted for publication in the Journal of Catalysis. Congrats Manjesh! Megan Ketchum successfully defended her PhD dissertation. Congratulations Dr. Ketchum and good luck starting your new position at GlaxoSmithKline! Artwork Selected for Cover of Angew. Chemie Int. Ed. The collaborative work between Minnesota, UH and others (Shete et al.) 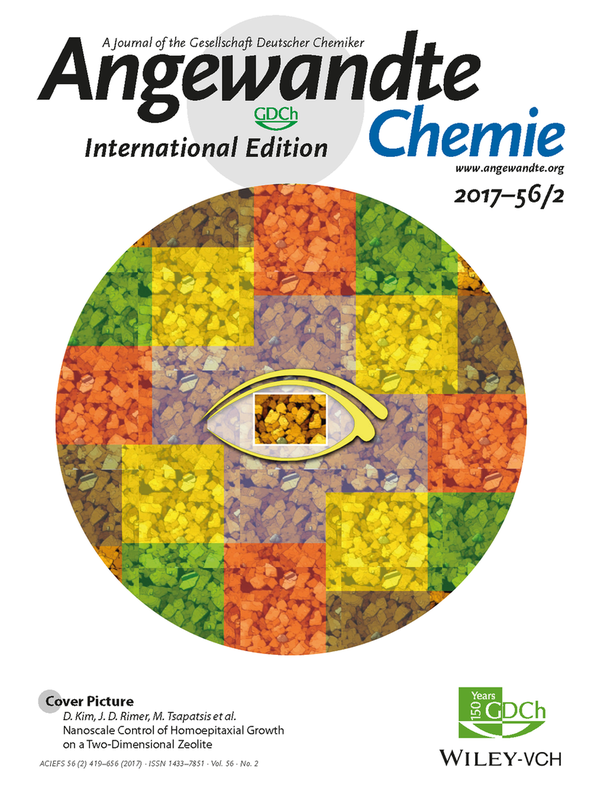 on 2D zeolite growth will be featured on the front cover of Angewandte Chemie. 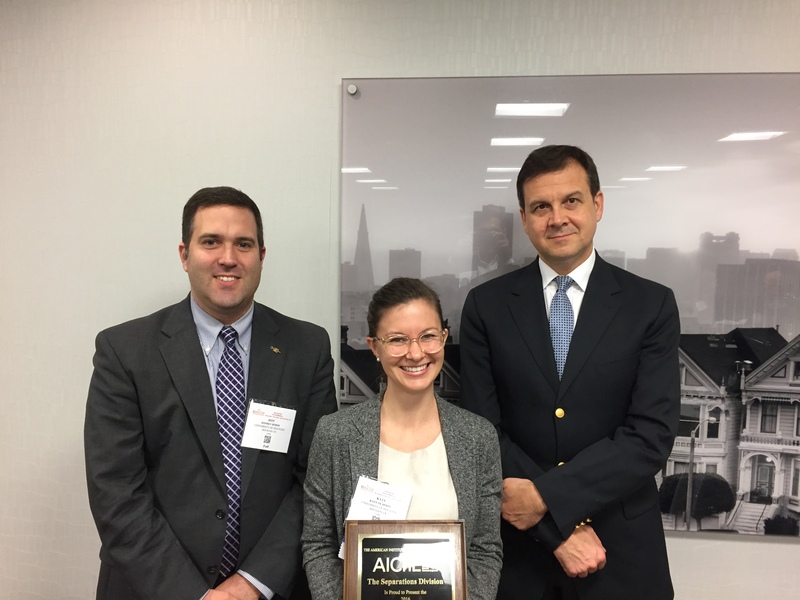 Prof. Rimer received the Owens Corning Early Career Award from the Materials Engineering & Science Division (MESD) of the American Institute of Chemical Engineers (AIChE). This award recognizes outstanding independent contributions to the scientific, technological, educational, or service areas of materials science and engineering. Prof. Rimer presented a plenary award lecture at the 2016 Annual Meeting in San Francisco, CA. Graduate students Yufeng, Wei, and Rui won Research Excellence Awards at the Chinese-American Chemical Society Southwest Chapter meeting. Congrats guys! The Up & Coming Perspective Article (Olafson et al.) 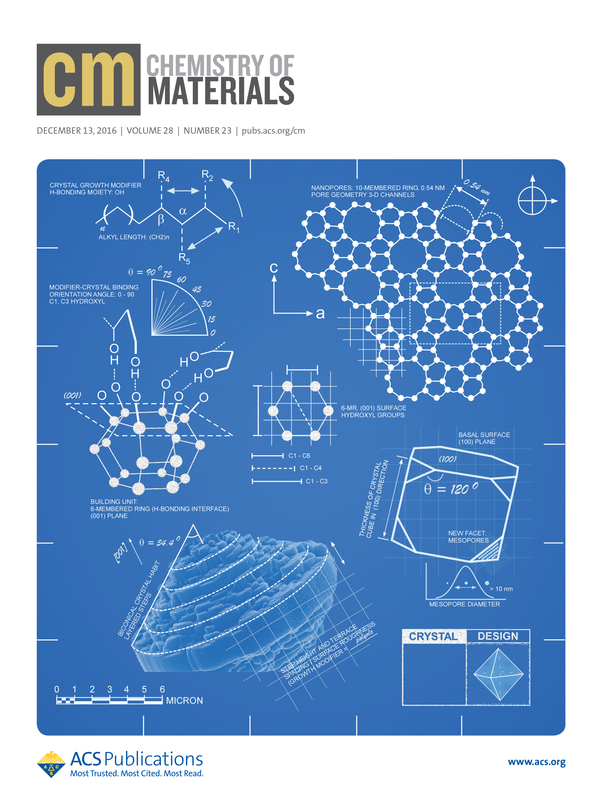 will be featured on the cover of Chemistry of Materials. Paper Accepted in Cryst. Growth Des. Megan’s paper on biomimetic assays for antimalarial drug screening was accepted in Crystal Growth & Design. This work is a collaboration with Prof. Peter Vekilov. Congrats Megan! Yufeng was the recipient of a Cullen Graduate Fellowship Travel Award to attend the 2016 AIChE Annual Meeting. Congrats Yufeng! Prof. Rimer was elected to the AIChE Materials Engineering & Science Division executive committee. 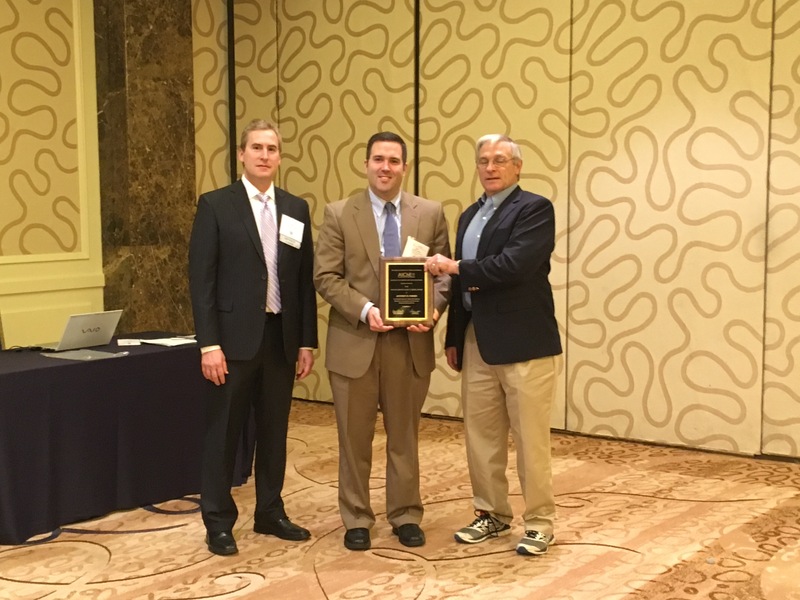 Prof. Rimer received the 2016 Joe W. Hightower Award from the ACS Greater Houston Section. This award recognizes meritorious contributions to education, research, and community service. Prof. Rimer will be recognized by the ACS Section at their Fall Banquet in October. Jihae Chung was a recipient of the Best Poster Award for the 31st Organization for Chemical Engineering Graduate Students (OChEGS) Symposium. Congrats Jihae! Katy Olafson was selected for a Women’s Initiatives Committee (WIC) Travel Award for the 2016 AIChE Meeting in San Francisco, CA. Congrats Katy! Prof. Rimer was selected by the ACS journal Chemistry of Materials for their Up & Coming perspective series. His article on nonclassical crystal growth inhibitors was accepted for publication. Coauthors include Katy, Bryan, and Rui. Congrats everybody! Rui Li received a travel award from the Catalysis and Reaction Engineering (CRE) division to attend the AIChE Meeting in San Francisco. Congrats Rui! Katy Olafson presented her talk “Elucidating the Molecular Interactions between Antimalarial Drugs and Hematin Crystal Surfaces” at the Gordon Research Seminar in conjunction with the GRC Meeting on Biomineralization in Girona, Spain. Katy received a Cullen Fellowship Travel Grant from UH to attend this conference. Congrats Katy! Jihae’s paper was accepted for publication in Nature! The letter is available as an Advance Online Publication (AOP) at the Nature website [Link]. Congrats Jihae on this amazing work! 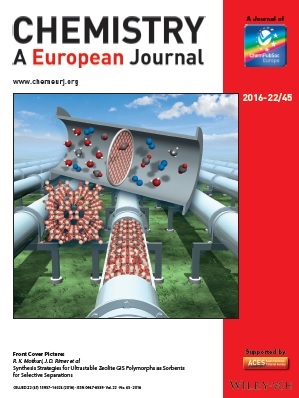 Cover Article Published in Chem. Eur. J. Our article was featured on the cover of the November 2016 issue of Chemistry – A European Journal. This work was a collaborative effort between the University of Houston (Rimer and Grabow) and Pacific Northwest National Laboratory (Motkuri). The authors were featured by the journal in the cover profile (Link). In this feature, the journal asks the authors questions pertaining to the most significant result of this study, the inspiration for the cover artwork, and the current topics being studied by each of the PIs. Manjesh Kumar successfully defended his PhD dissertation. Congrats Dr. Kumar! Article Published in Chem. Eur. J.
Matt’s paper on zeolite GIS synthesis was accepted for publication in Chemistry: A European Journal. This work was performed in collaboration with Dr. Radha Motkuri (PNNL) and Prof. Lars Grabow (UH). Congrats to Matt, Arian, and Marlon! Prof. Rimer was elected Co-Chair of the International Zeolite Association (IZA) Synthesis Commission. Katy was the recipient of the 2016 AIChE Separations Division Graduate Student Research Award. She received this competitive international award for her research on hematin crystallization, which is a project co-advised with Prof. Peter Vekilov. Katy received a plaque at the Separation Division’s Award Dinner held at the annual meeting in San Francisco. Congrats Katy! Aseem and Thuy were accepted to the Future Faculty Fellowship (F3) program at UH. Congrats! Article Published in Chem. Mater. Matt’s paper on zeolite LTA and FAU nucleation was accepted for publication in Chemistry of Materials. This work was performed in collaboration with Prof. Lee Penn’s group at the University of Minnesota. Congrats to Matt and Marlon! We received funding from NIH for our malaria project, which focuses on hematin crystallization. The grant was awarded to Prof. Vekilov (PI) and Prof. Rimer (Co-PI). Matt Oleksiak successfully defended his PhD dissertation. Congratulations Dr. Oleksiak and good luck starting your new position at Shell Oil Company! Prof. Rimer was invited to give the inaugural Mellichamp Emerging Leader lecture at the University of California at Santa Barbara. 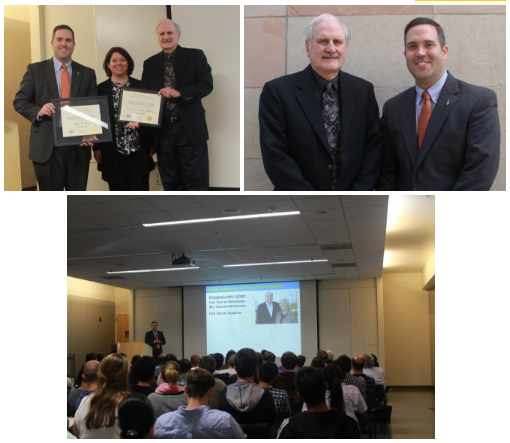 The lecture, which is endowed by Prof. Duncan and Mrs. Suzanne Mellichamp, is a new annual keynote event within the Department of Chemical Engineering at UCSB. The lecture will be given in Fall 2016. Zachery Baker received a PURS scholarship to conduct research in the area of biocrystallization. Congratulations Zach! 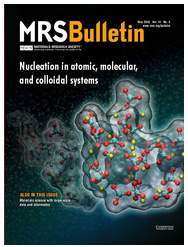 Prof. Rimer published an invited article in the MRS Bulletin issue on “Nucleation in Atomic, Molecular, and Colloidal Systems.” The article, which focuses on nucleation of open framework materials, was co-authored by Prof. Michael Tsapatsis (Univ. Minnesota). For details, check out the MRS website (Link). Dr. Mariano Susman joined our group to work on the rational design of metal oxides. Welcome Mariano! Mangalaa Dinivahi received a Summer Undergraduate Research Fellowship from the University of Houston Office of Undergraduate Research. Congratulations Mangalaa! Ricardo Sosa (senior undergraduate student in the Rimer Group) received a prestigious National Science Foundation Graduate Research Fellowship. He will be pursuing a PhD in Chemical Engineering next year and this NSF GRFP award will be used to support his graduate studies. Congratulations Ricardo – this is fantastic news! For more details, see the following articles by the Cullen College (LINK) and the Honors College (LINK). Arian’s paper on pathways of DME formation in ZSM-5 was accepted for publication in ACS Catalysis. This work is part of a collaboration with Prof. Lars Grabow. Congratulations Arian! Article Accepted in Chem. Mater. Manjesh and Rui’s paper on zeolite L nucleation was accepted for publication in Chemistry of Materials. Congratulations! Three graduate students recently joined our group: Aseem Chawla, Thuy Le, and Yunwen Zhou. We also have three new undergraduate students: Zachery Baker, Mangalaa Dinivahi, and Diego Guala. Welcome to the group! Matthew Patton received a PURS scholarship to conduct research on zeolite synthesis. Zachery Baker received a University of Houston Scholars Program scholarship to conduct research on biogenic crystallization. Congratulations! Arian Ghorbanpour successfully defended his PhD thesis entitled “Computational Modeling and Advanced Synthesis Techniques for the Improved Design of Zeolite Catalysts.” Arian is co-advised with Prof. Lars Grabow. Congratulations Dr. Ghorbanpour! 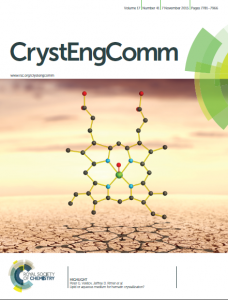 Katy and Megan’s highlight article on hematin crystallization was selected for the inside cover of the November 7th issue of Crystal Engineering Communications. Manjesh was a recipient of the Best Oral Presentation Award and Katy was a recipient of the Best Poster Award for the 30th Organization for Chemical Engineering Graduate Students (OChEGS) Symposium. Congrats Manjesh and Katy! 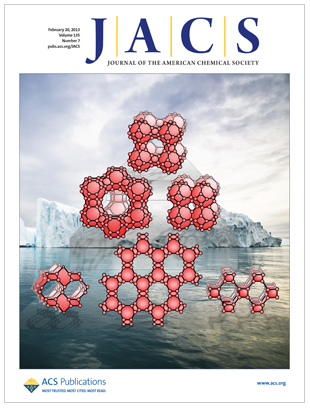 Manjesh’s paper on SSZ-13 crystallization was accepted for publication in the Journal of the American Chemical Society. This work is a collaboration with Prof. Yuriy Roman at MIT. Congrats Manjesh! 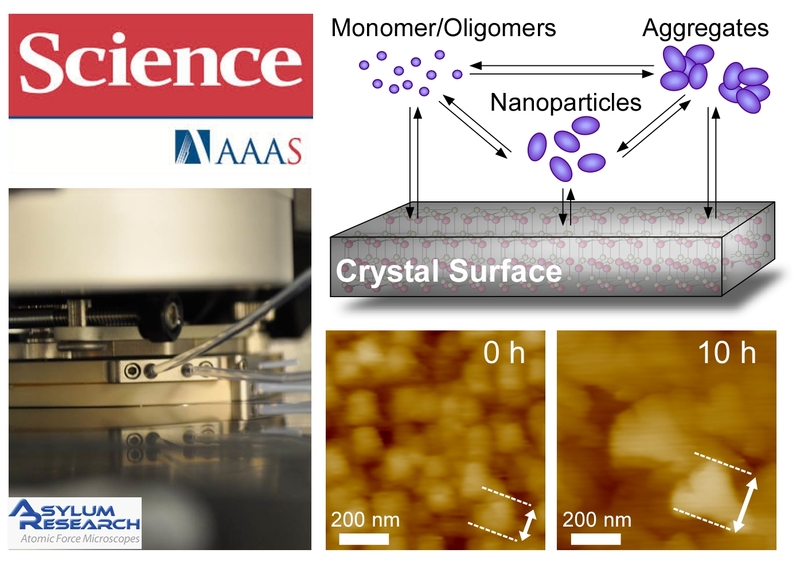 Katy and Megan’s paper on hematin crystallization was accepted for publication in the ACS journal Crystal Growth & Design. This work is a collaboration with Prof. Peter Vekilov at UH. Congrats everybody! Prof. Rimer has been promoted to Associate Professor (effective September 1, 2015). A sincere thank you to all of the group members (current and alumni) for your hard work over the past six years! 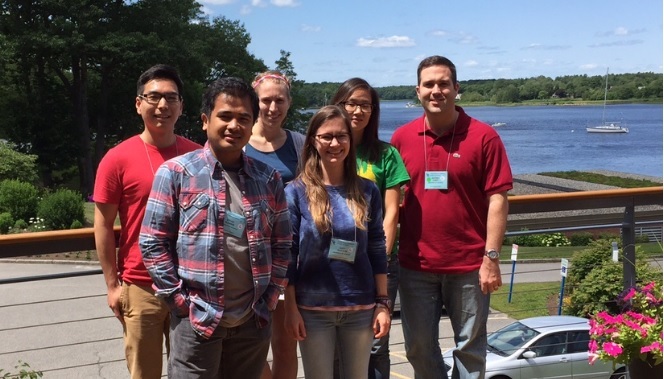 Two group members attended the 2015 GRC on Nanoporous Materials & Their Applications in Holderness, NH: Matt and Manjesh. Prof. Rimer was an invited speaker and both Matt and Manjesh were selected among the poster presenters to give talks. The University of Houston published a news article highlighting the selection of three students in the Rimer Group for oral presentations at 2015 GRC Conferences (Katy, Matt, and Manjesh). For details, see the article on the Cullen College of Engineering website [Link]. 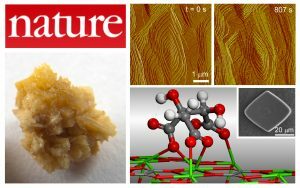 Sahar’s paper on alkali metal modification of calcium oxalate crystallization was accepted for publication in Chemical Communications. Congrats Sahar and Bryan! 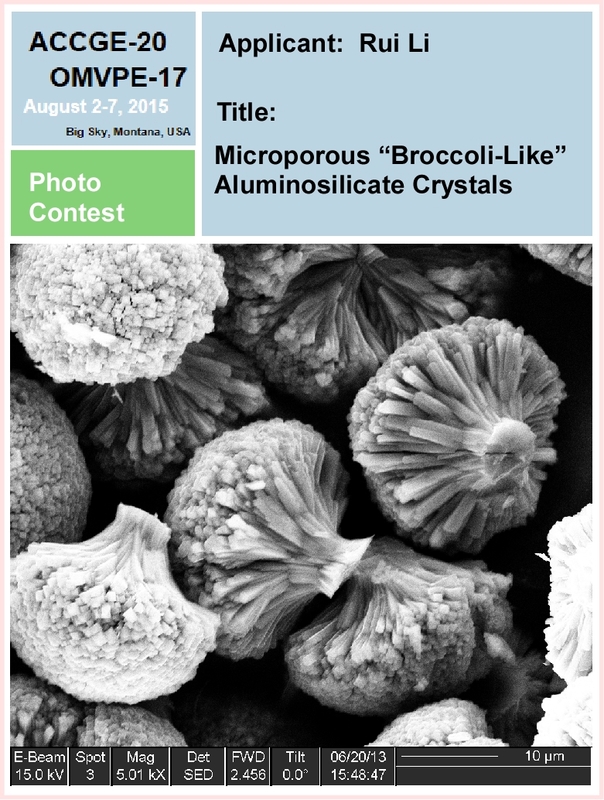 The 2015 American Conference on Crystal Growth and Epitaxy had a photo contest sponsored by the Journal of Crystal Growth. 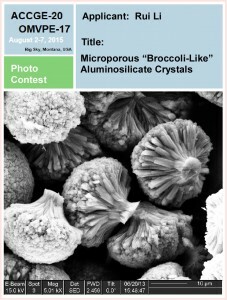 Rui Li entered a photo of zeolite crystals and won first place in the category of Natural Untouched Photograph/Micrograph. Congratulations Rui! The Rimer Group received a grant from the National Science Foundation. This project is a collaboration with Prof. Lars Grabow focused on methane upgrading. Katy and Megan’s highlight article on hematin crystallization was accepted for publication in Crystal Engineering Communications. Congrats! Prof. Rimer was elected Chair Elect of the Southwest Catalysis Society (SWCS). He had previously served one year as the Secretary and two years as a Director in the organization. 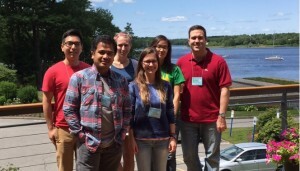 Four group members attended the 2015 GRC on Crystal Growth & Assembly in Biddeford, ME: Jihae, Megan, Katy, and Bryan. We were joined by our collaborator John (RPI). Prof. Rimer was an invited speaker and Katy was selected among the poster presenters to give a talk. Prof. Rimer was also elected Vice Chair for the 2017 meeting! 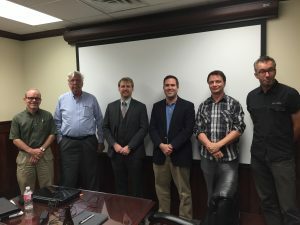 The Rimer Group received a grant from the Department of Energy (DOE) through the office of Basic Energy Sciences (BES). This project will be focused on zeolite catalysis. Bryan’s poster was one of six that were selected out of 44 total posters to give an oral presentation at the International School on Biological Crystallization (ISBC) in Granada, Spain. Congratulations Bryan! Four undergraduate students joined our group: Ashwin Antony, James Sutjianto, Stephanie Roohi, and Karla Munoz. We also have Arden Zimmerman joining us for the summer as part of the NSF RET program. Welcome to the group! Wei, Yufeng, and Bryan successfully passed their qualifiers. They are now Ph.D. candidates. Congratulations guys! Bryan received a travel award to attend the International School on Biological Crystallization (ISBC) in Granada, Spain [Link]. Congratulations Bryan! Prof. Rimer is the recipient of the 2015 Teaching Excellence Award from the Cullen College of Engineering. Rui received a poster award at the Southwest Catalysis Society Symposium, which was held on the University of Houston campus. Congratulations Rui on a job well done! Ashwin Antony received a Summer Undergraduate Research Fellowship from the University of Houston Office of Undergraduate Research. Congratulations Ashwin! Prof. Rimer was the recipient of the 2015 Teaching Excellence Award. He was one of eight faculty at the University of Houston to receive this honor. Details of the award can be found at the University of Houston website [Link]. See also the featured article on the university webpage [Link]. Our grant from The Welch Foundation was renewed for another 3 years. For more details, see the news article written by the Cullen College of Engineering [Link]. Arian’s paper on core-shell zeolite synthesis was accepted for publication in ACS Nano. Co-authors on this paper include Prof. Lars Grabow (UH), Prof. Steven Crossley and Abhishek Gumidyala (U. Oklahoma). Congrats All! Jihae’s talk at the 2014 AIChE Meeting in Atlanta entitled Controlling Crystal Habit with Tailored Organic Growth Modifiers was selected as the Best Presentation in the Separations Division Session “Particle Formation and Crystallization Processes from Liquids, Slurries, and Emulsions.” Jihae was invited to submit a Best Paper to the AIChE Journal related to this talk. Congratulations Jihae! We welcome Ming-Feng Hsieh as a postdoctoral researcher. 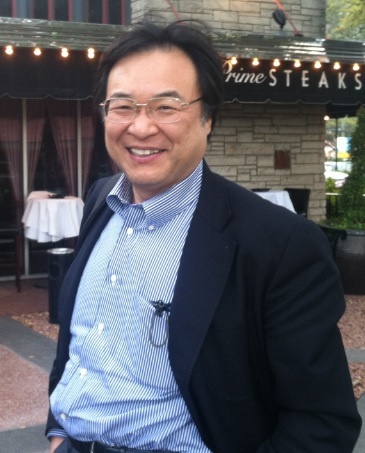 Ming-Feng comes to UH after receiving his Ph.D. in chemical engineering from UC Santa Barbara. Welcome to the group! Manjesh was one of the recipients of the 2015 Kokes Award to attend the 24th North American Catalysis Society meeting in Pittsburgh, PA. Congratulations Manjesh! For details, see the news article posted by the university [Link]. Katy Olafson’s paper on the mechanisms of hematin crystallization and inhibition was accepted for publication in the Proceedings of the National Academy of Sciences. Co-authors on this paper include Megan Ketchum and Prof. Peter Vekilov. Congrats All! Prof. Rimer was featured in the article titled “Science Publishing: The Golden Club.” The article addressed how publishing in the most prestigious journals can open doors, but that their cachet is under attack. Nature interviewed Prof. Rimer and several other early-career researchers who published for the first time in Nature, Science or other journals in October 2010. Two undergraduate students joined our group to work on zeolite synthesis and characterization: Matt Patton and Eduardo Lyra. Welcome to the group! Madhuresh Choudhary joined our group in January 2015. Welcome Madhuresh! Prof. Rimer was a recipient of the 2014 Provost Certificate of Excellence. Prof. Rimer presented an invited talk at the 18th North East Corridor Zeolite Association (NECZA) Meeting in Philadelphia. A special congratulations to Edith Flanigen, who was recognized at the meeting for her recent honor, the National Medal of Technology and Innovation. Graduate student Rui Li received two poster awards. The first was given during the 2014 Organization for Chemical Engineering Graduate Students (OChEGS) Symposium at UH. The second was the Research Excellence Award and Third Place Winner of 2014 Chinese-American Chemical Society Southwest Chapter (CACS-SW) Poster Competition. Congratulations Rui! We had the pleasure of hosting Prof. Feng-Shou Xiao (Zhejiang University, China). 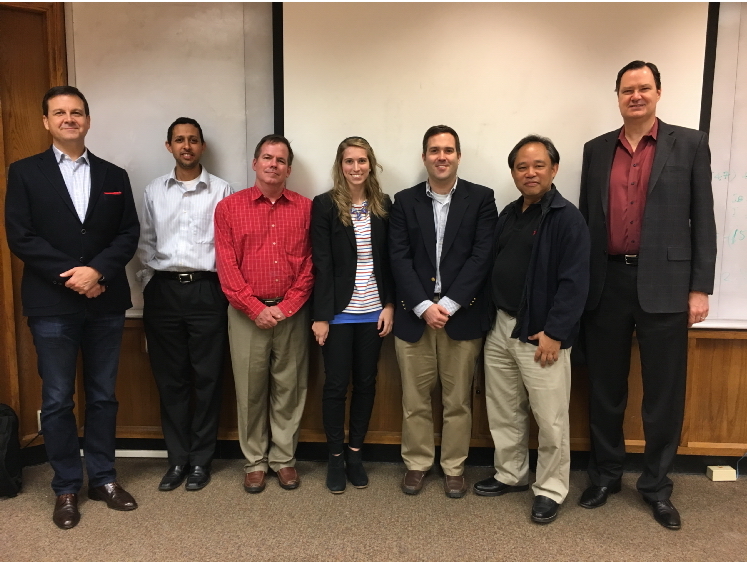 We were joined by several faculty at UH to discuss recent progress in the area of zeolite synthesis, catalysis, and modeling. We all enjoyed the visit! Matthew Oleksiak received a travel award from the Catalysis and Reaction Engineering Division to attend the AIChE Annual Meeting in Atlanta. Matthew will be presenting a talk and a poster at this year’s meeting. Congratulations Matt! Prof. Rimer was elected Secretary of the Southwest Catalysis Society (SWCS). He had previously served two years in the organization as a Director. Sahar’s article on COM growth promoters was accepted for publication in the Journal of the American Chemical Society. Congratulations Sahar, Jihae, and Ricardo! 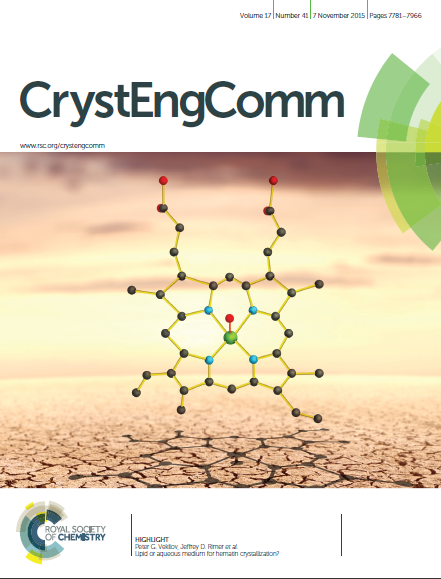 Rimer Group Publishes in Catal. Sci. Technol. Our group published a minireview on our zeolite work for the themed issue “Catalysis in the U.S.A.”. This invited article features work from Alex, Manjesh, Matt, and Rui. Congratulations! Ricardo Sosa was the recipient of a 2014 Louis Stokes Alliance for Minority Participation Scholarship. Congratulations Ricardo! Maneesh Anand was the recipient of a 2014 Provost’s Undergraduate Research Scholarship (PURS). Congratulations Maneesh! Alex Lupulescu received the 2014 Best Dissertation Award from the Cullen College of Engineering for her PhD dissertation entitled “A Rational Design Approach for Tailoring Zeolite Crystal Morphology.” Congratulations Alex! 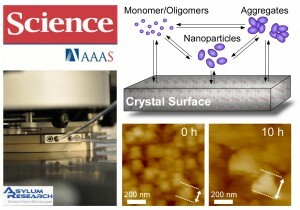 Alex’s AFM work on imaging zeolite crystallization in real time under realistic growth conditions will be published in the May 16, 2014 issue of Science Magazine. Congratulations Alex! This award was given by the University of Houston for the rank of Assistant Professor. The award was presented to Prof. Rimer on April 28th at the Faculty Awards Luncheon. For more information, see the UH announcement [LINK]. Two students from the group – Manjesh and Matt – received poster awards at the Southwest Catalysis Society Symposium, which was held on the University of Houston campus. Congratulations Manjesh and Matt on a job well done! For more information see the news article written by the Cullen College of Engineering [Link]. Katy’s paper was accepted for publication as part of a collaborative project with Prof. Vekilov. Congratulations Katy! Professor Tatsuya Okubo (Univ. Tokyo) visited the Rimer Group and presented a talk on his research related to seeded zeolite growth and the ultrafast synthesis of zeotypes. This award is intended to recognize demonstrated excellence in supporting undergraduate researchers, to encourage mentoring relationships with undergraduate students, and to convey the university’s high regard for such contributions to the academic and research community. Arian’s first paper was accepted for publication as part of a collaborative project with Prof. Grabow. Congratulations Arian! The March issue of The Catalyst Review selected Rimer for their “Movers & Shakers” column. Bryan Alamani, Wei Qin, and Yufeng ShenÂ have joined the group as first year Ph.D. candidates. Welcome to the group! Sahar’s paper was accepted for publication in the Journal of the American Chemical Society. Congratulations Sahar and Jihae! Sahar successfully defended her Ph.D. dissertation. Congratulations Dr. Farmanesh! Alex successfully defended her Ph.D. dissertation. Congratulations Dr. Lupulescu! Katy Olafson received an award at the 2013 Keck Center Annual Research Conference Poster Contest. Katy presented her work on beta-hematin crystallization. She placed 2nd out of 65 posters. Congratulations Katy! Manjesh Kumar received a travel award from the Catalysis and Reaction Engineering Division to attend the AIChE Annual Meeting in San Francisco. Manjesh will be presenting two talks and a poster at this year’s meeting. Congratulations Manjesh! Matt’s review article on organic-free zeolite synthesis has been accepted for publication in Reviews in Chemical Engineering. Congratulations Matt! The United States – Israel Binational Science Foundation (BSF) awared Prof. Rimer and Prof. Galia Maayan (Technion IIT) a 2-year grant to pursue research on the design and testing of zeolite growth modifiers. Alex Lupulescu received an honorable mention for the 2013 AIChE Sustainable Engineering Forum Student Paper Award for her recent publication in JACS. Congratulations Alex! Jihae defended her thesis entitled “Inhibition of Calcium Oxalate Monohydrate Crystallization Using Organic Growth Modifiers.” Congratulations Jihae!. Manjesh and Matt successfully defended their qualifiers and are now Ph.D candidates. Congratulations Manjesh and Matt!. Prof. Rimer received the 2013 Junior Faculty Research Excellence Award from the University of Houston Cullen College of Engineering. The award will be presented in Fall 2013. Katy was awarded a fellowship as part of the Nanobiology Interdisciplinary Graduate Training Program (NIGTP) supported by the Keck Center and sponsored through the Gulf Coast Consortia. This award will sponsor her research on malaria as part of a coadvised project with Prof. Peter Vekilov (UH, Dept. Chemical Engineering) and Dr. Alessandro Grattoni (Methodist Hospital Research Institute, Dept. Nanomedicine). Congratulations Katy! Alex received an award from the Southwest Catalysis Society (SWCS) for her poster on multiscale approaches to zeolite rational design. Congratulations Alex! Alex and Manjesh’s paper was accepted for publication in the Journal of the American Chemical Society. Congratulations! Matt received honorable mention for the poster award competition at the 3rd North American Symposium on Chemical Reaction Engineering, which was hosted in Houston. Congratulations Matt! Alex was granted a travel award from the ACS division of Catalysis Science and Technology (CATL). Congratulations Alex! Rui Li, Katy Olafson, and Megan Ketchum have joined the group as first year Ph.D. candidates. Welcome to the group! Matt has his first paper accepted for publication. Congratulations Miguel and Matt! The Catalysis & Reaction Engineering (CRE) Division presents two poster awards each year at the annual meeting. 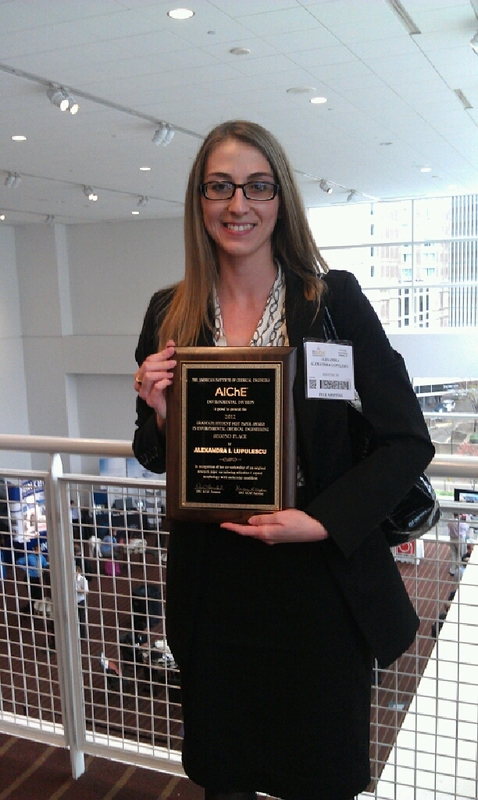 Alex received this award for her work on the rational design of zeolite catalysts. 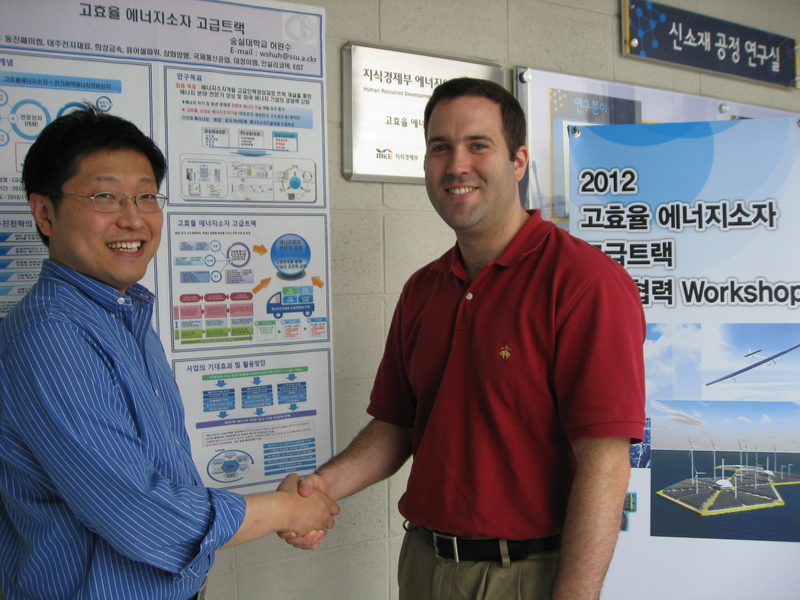 The Environmental Division of the American Institute of Chemical Engineers awarded Alex second place in the 2012 graduate student award contest. Alex was recognized for this honor at the 2012 Annual Meeting. Arian Ghorbanpour and Alexandra Lupulescu received travel awards from the Catalysis & Reaction Engineering Division to attend the Annual Meeting in Pittsburgh. Prof. Rimer will serve as a Director in the Southwest Catalysis Society. Sahar has her first paper accepted for publication. Congratulations Sahar and Jihae! The Department of Chemical Engineering at the University of the Philippines invited Prof. Rimer as an ERDT visiting professor to give a short course on Colloid and Interface Science. During this time he also presented several seminars in the Engineering College and the Medical School on his research in the areas of biomaterials and catalysis. Prof. Rimer received a Faculty Early Career Development (CAREER) Award from the National Science Foundation. The CAREER Award is one of NSF’s most prestigious awards in support of junior faculty who exemplify the role of teacher-scholars through outstanding research, excellent education and the integration of education and research within the context of the mission of their organizations. This award, entitled “A Bio-Inspired Approach to En gineer Zeolite Catalysts,” was given by the Catalysis and Biocatalysis program for the rational design and testing of nanoporous zeolite catalysts. Prof. Rimer was also the recipient of a NSF award from the Biomaterials program (Division of Materials Research, DMR). This award is a collaborative research project between the Chemical Engineering Departments at the University of Houston and Rensselaer Polytechnic Institute (RPI). Prof. Rimer is working with Profs. Pankaj Karande (Website Link) and Shekhar Garde (Website Link) to design crystal growth inhibitors for biomaterials implicated in pathological diseases. Rimer and Karande published early results of this collaborative research project in the Journal of Crystal Growth (2012, accepted). 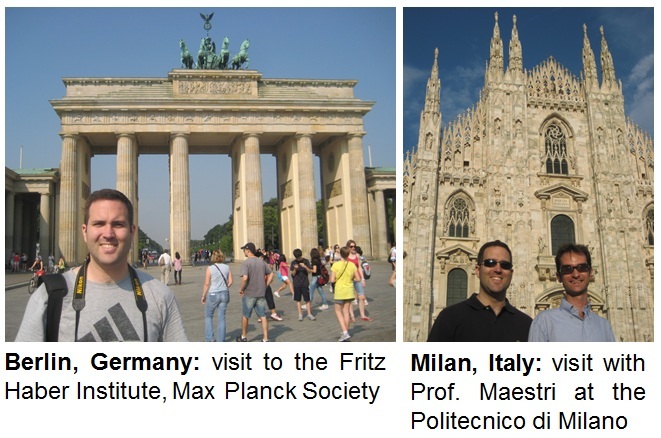 In July, Prof. Rimer visited the Politecnico di Milano (Department of Energy) in Milan, Italy and the Fritz Haber Institute (Max Planck Society, Department of Inorganic Chemistry) in Berlin, Germany. At these institutes he presented work in the area of rational catalyst design. Students from KIPP Houston High School were selected as an InvenTeam for the 2012 Lemelson-MIT competition. The group traveled to Boston in June to present their project at EurekaFest, which was hosted on MIT’s campus. Profs. Rimer and Harold (UH Chemical Engineering) served as advisors and assisted students with their project, which focussed on developing and testing paints that adsorb greenhouse gases from the atmosphere. Congratulations to all InvenTeam members on their successful project! Alex received an award from the Southwest Catalysis Society (SWCS) for her poster on zeolite growth modifiers. TheÂ SWCS symposium was attended by members of industry and academia. There were many graduate students and postdocs from over six universities in Texas, Oklahoma, and Louisiana who presented posters. A select number of these students received prizes for their posters. Gautham Prakash joins our group as a 2012 Summer Research Fellow. Welcome Gautham! Prof. Rimer was appointed the Ernest J. and Barbara M. Henley Chemical Engineering College Assistant Professorship. The Asian Crystallization Technology Society (ACTS) held its first symposium in Seoul, South Korea. Prof. Rimer was one of three invited lecturers at the symposium. The award was given by the ACS Petroleum Research Fund as part of the Doctoral New Investigator (DNI) program. 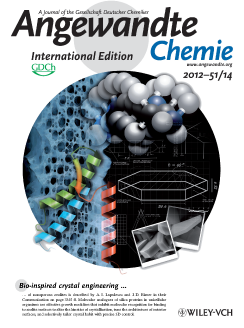 Alex’s communication was featured on the cover of the April 2nd 2012 issue of Angewandte Chemie International Edition. Our 2012 Angew. Chemie publication was featured in a news article by the Cullen College of Engineering, entitled “Catalysis Research Earns Industry Interest.” Prof. Rimer was awarded a patent for this work, and the approach he and graduate student Alexandra Lupulescu developed is a commercially viable process that has garnered interest from industry. Miguel was the recepient of an Outstanding Thesis Award for 2012 from the UH Honors College. Miguel spent two semesters working on his senior thesis in the Rimer Group on the topic of catalyst synthesis and characterization. He also worked for 3 months on a project sponsored by Total Petrochemicals. Congratulations Miguel! Arian passes his oral qualifying exam. Congratulations Arian! A Grants to Enhance and Advance Research (GEAR) award was presented to Prof. Rimer by the UH Office of Research. The Rimer Group was awarded a grant from the Norman Hackerman Advanced Research Program (NHARP). The purpose of the program is to encourage and provide support to faculty in Texas institutions to conduct basic research. The Welch Foundation awarded the Rimer Group a 3-year grant to conduct research on biomaterials. 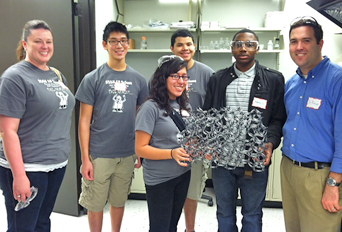 Students from North Shore Senior High School visited the Department of Chemical Engineering at UH for interactive science demonstrations to promote STEM education. The program was coordinated by Dr. Megan Robertson and included participation from Drs. Jacinta Conrad, Gila Stein, and Jeff Rimer. Undergraduate and graduate students from UH also participated in this program. Alex has her first paper accepted for publication. Congratulations Alex! Matt and Manjesh have joined the group as first year Ph.D. candidates. Di Wang defended his Masters and will continue in the PhD program. Congratulations Di! Marlo Diosomito (KIPP Houston High School) was a recipient of the 2011 Kinder Excellence in Teaching Award presented by the city of Houston. Well done Marlo! The Alliance for Nanohealth awards Jeff Rimer (PI), Peter Vekilov (UH), and Robin Stephens (UTMB) a seed grant that is sponsored by the Telemedicine & Advanced Technology Research Center. This is a Department of Defense medical research program operated through the headquarters of the US Army Medical Research and Material Command (USAMRMC). Sahar passes her qualifying exam. Congratulations Sahar! Prof. Rimer is awarded beamtime at the Spallation Neutron Source. The Summer Undergraduate Research Fellowship (SURF) at UH provides students with a stipend and the opportunity to participate in a research project under the direction of a UH faculty mentor. For more information visit the Office of Undergraduate Research. 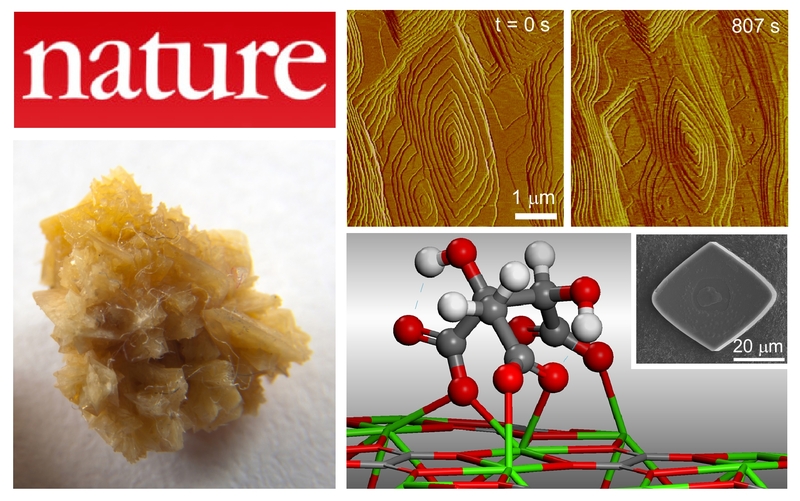 Prof. Rimer and Alex filed a PPA on their work with microporous materials synthesis. Welcome to Diego who is visiting during January and February! The group welcomes Arian as its newest member! Arian is co-advised with Lars Grabow. Alex passes her qualifying exam. Congratulations Alex! Congratulations to Temitope for receiving a PURS scholarship! Prof. Rimer receives financial support from the Environmental Institute of Houston. Prof. Rimer is featured in the Fall issue of Parameters Magazine. Welcome to Temitope as an undergraduate researcher in the group! The Department of Chemical and Biomolecular Engineering receives a National Science Foundation MRI award for a small-angle X-ray machine. Many thanks to Profs. Krishnamoorti and Stein for their hard work! Welcome to Miguel as an undergraduate researcher in the group! Prof. Rimer receives a National Science Foundation BRIGE Award. Di Wang joins the group! Di is co-advised with Mike Harold and will be working in collaboration with the Texas Diesel Testing and Research Center. Kristin Nordstrom joins the group as a National Science Foundation REU fellow. The Grants to Enhance and Advance Research (GEAR) award is a competitive grant that is awarded to UH faculty members who are pursuing research projects at the beginning stages of inception that demonstrate the likelihood to yield impactful results. The Provosts Undergraduate Research Scholarship Program (PURS) at UH provides talented juniors and seniors with the opportunity to participate in a research project under the direction of a UH faculty mentor. Welcome to Alex and Sahar as new group members! Professor Rimer starts his position at UH.